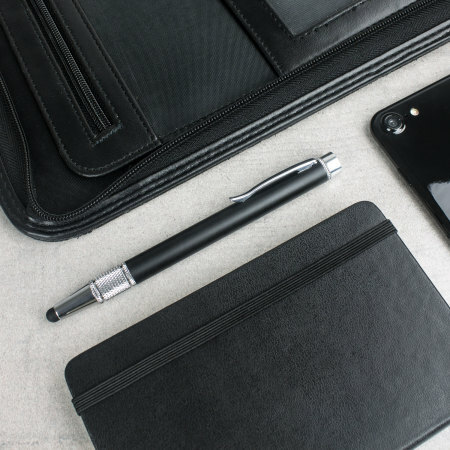 The Olixar 3-in-1 Executive Emergency Pen & Stylus is a lifesaver in more ways than one. 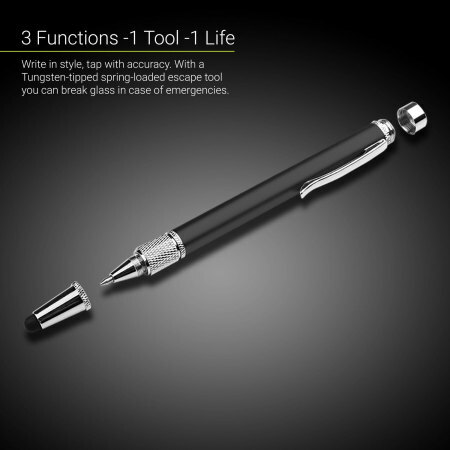 Ideal for tablet and smartphone users on the move with its fine point pen, stylus tip and spring-loaded glass-breaking emergency escape tool. A great price for a great item! Hi! I purchased the Olixar Emergency Pen two weeks ago. 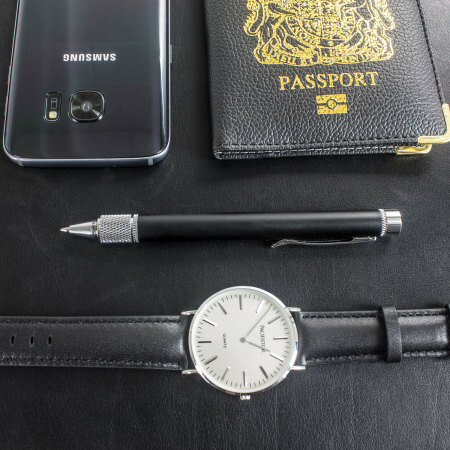 This item features a screwable stylet for your screen devices that acts as a cap for the pen. 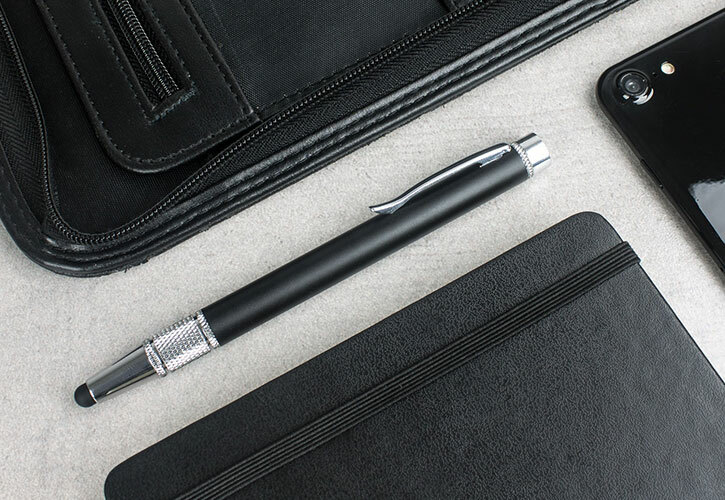 The pen color is black so perfectly adapted for signing documents. 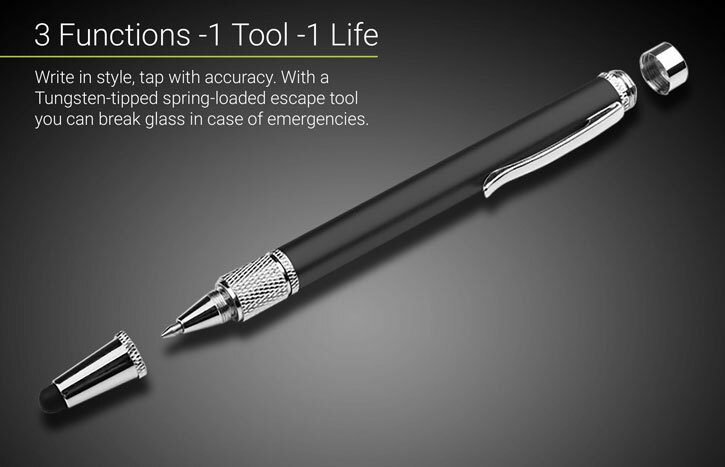 And then at the end of the pen, you have the small screwable part that release the tungsten spike which allow the breaking of a glass in case of emergency. The pen is great, it doesn't smears or anything, it's not heavy at all. I tried breaking a piece of glass with it, it just destroyed it! 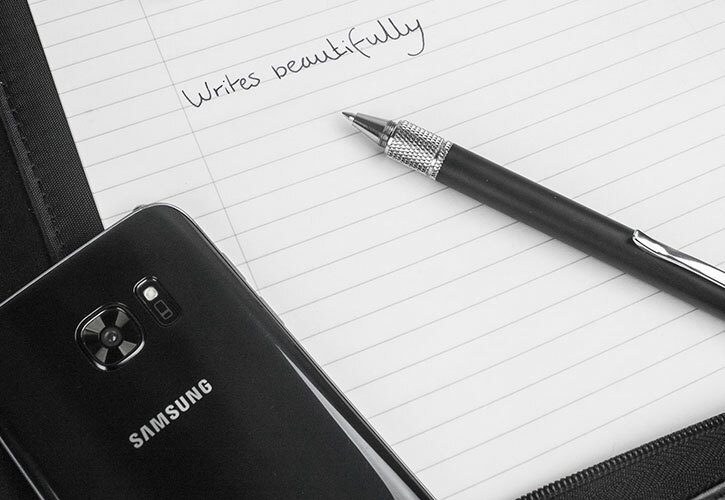 Without any problem thanks to the powerful spring built in it! It's a perfectly useful and stylish item to always carry just in case, hopefully no one has to use it! This is no lightweight disposable tool, this is a tool for those who mean business. 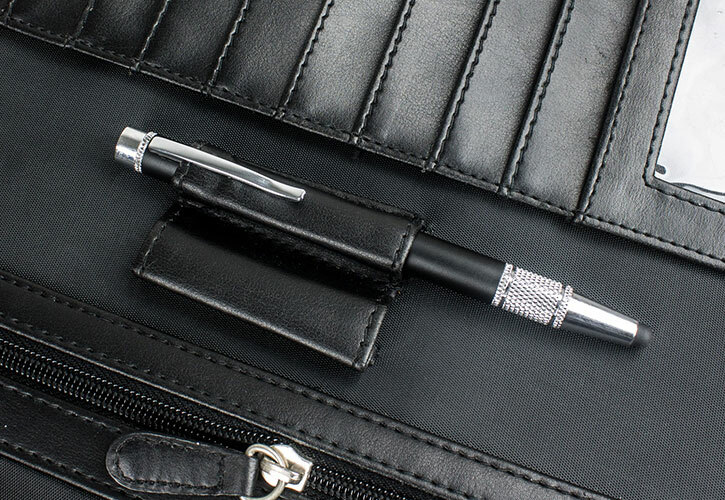 With its matte black and silver finish, solid weighty balance and rugged construction, this is a pen you can depend on time after time after time. Just rear of the stylus and pen tips there is a cross-hatched patterned section that not only looks great but aids grip. A pen that you have a better grip on is far easier to use and less likely to escape your grasp after all. 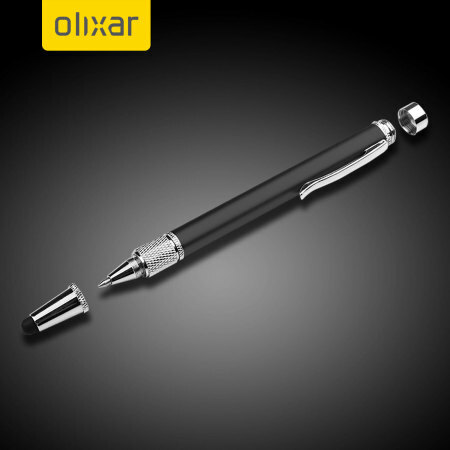 The Olixar 3-in-1 Executive Emergency Pen & Stylus has an omnidirectional tip, capable of moving on the screen just as smoothly in any direction you wish. 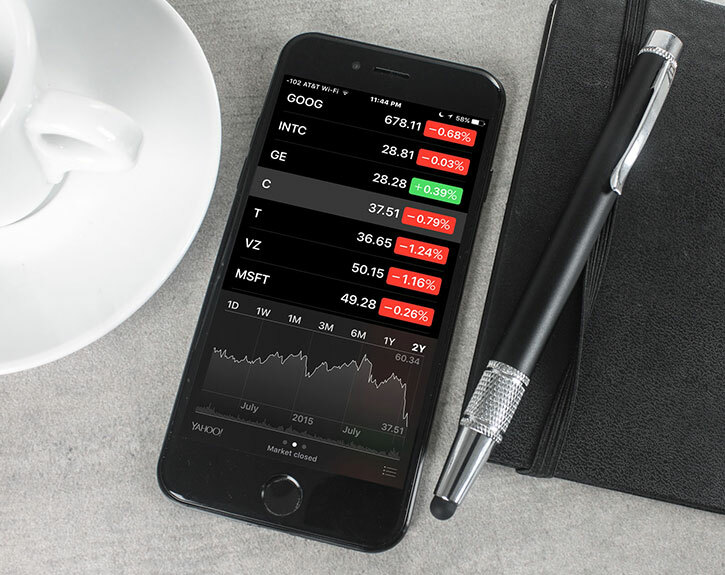 This allows for accurate movements, drawings and precision touches and makes the 3-in-1 an ideal tool for smartphone and tablet users in particular. 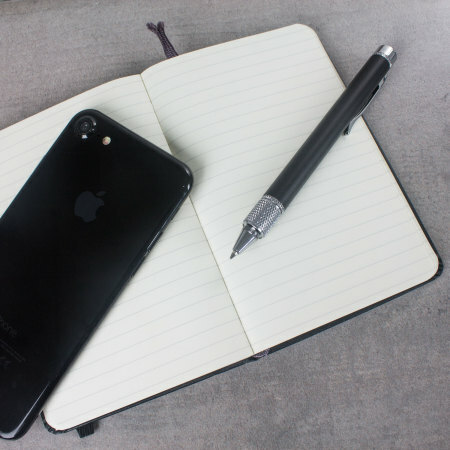 Not only does the Olixar 3-in-1 Executive Emergency Pen & Stylus feature a stylus tip, it also has a fine point pen tip that is far better than many, if not all pens in this class. Simply unscrew the Stylus tip to gain access to the pen and it will surprise you just how good it is. Whether you're a dab hand at calligraphy, an architect or engineer, a creative person or anybody that simply needs or wants a pen that is beautiful to write or sketch with, you will appreciate the quality on offer here. 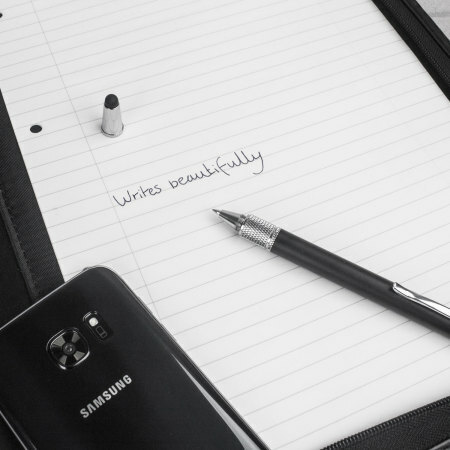 The tip responds well to pressure and will give you wafer-thin lines or solid defined strokes with the minimum of fuss as the pen tip simply glides across the paper. At the rear end of the pen is a conical tungsten tip that is connected to a spring-loaded section of the pen. Why? Well, although most stylus pens will never dream of having such a feature, this stylus pen isn't called an emergency tool for nothing. 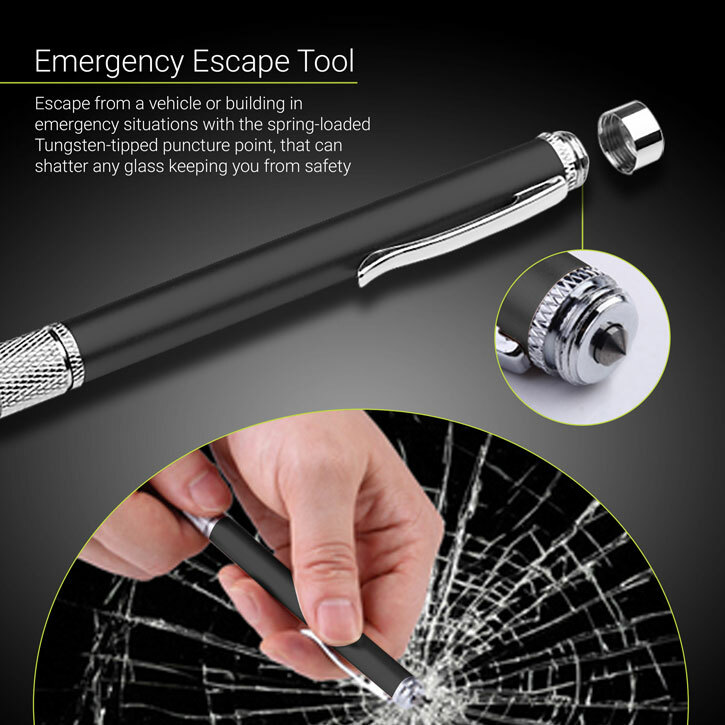 By removing the safety screw top, placing flush against a glass surface, pulling the front of the pen back and releasing, you can deliver incredible amounts of penetrative shock force that can shatter any glass keeping you from safety. It may seem unlikely that you will ever need to use this function but unfortunately many lives could have been saved or serious injuries avoided if those involved did have access to it. The Fire Service advise you to always have escape plans in place should you need to escape from a dangerous or life-threatening situation. Well, this could just be the first stage in that preparation. What if you have to escape from a vehicle or building? Perhaps it is in water, or on fire, or there is some other emergency situation and your usual means of escape are not open to you? This isn't as uncommon as it may sound. 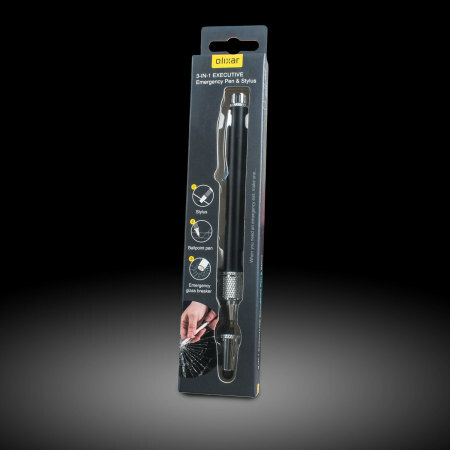 Rather than risking serious injury breaking glass where your hands may come into contact with broken shards, the 3-in-1 makes it easier and much safer. We obviously hope you never have to use this, but we hope you have something like the Olixar 3-in-1 Emergency Pen and Stylus to hand if you do. A note of caution: Please do not allow children to use this feature unsupervised. 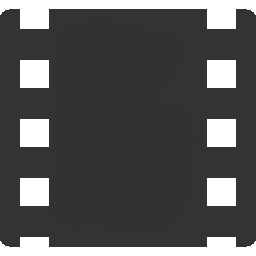 The puncture tip is sharp and could cause injury. The spring delivers a lot of force so again, use only in emergencies and careful practice. It is not a toy. Please make sure the safety cap is screwed back in place when not required. What kind of executive pen wouldn't have one? Well, no need to worry as of course, the 3-in-1 features just such a thing. 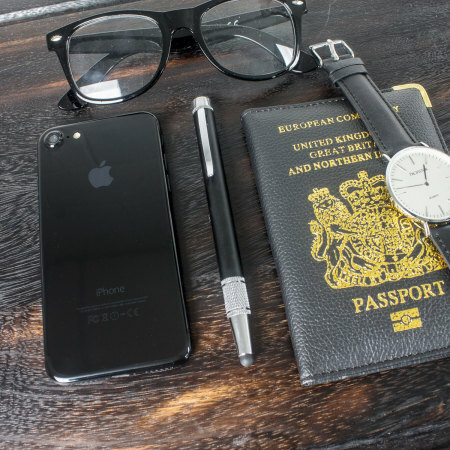 The solid steel pocket clip looks the part when visible and also performs its job admirably. 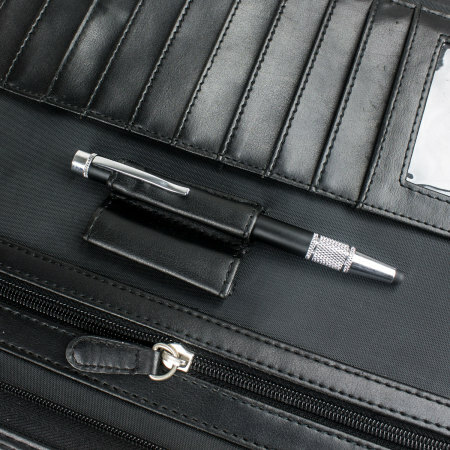 Keep the pen secure in or on your jacket or coat pocket, bag, clipboard, tablet or phone case, briefcase, purse or wallet until you need it again.